Who don’t like Risotto? If you’re not a fan of pizza, give this recipe a try and you’ll be satisfied. 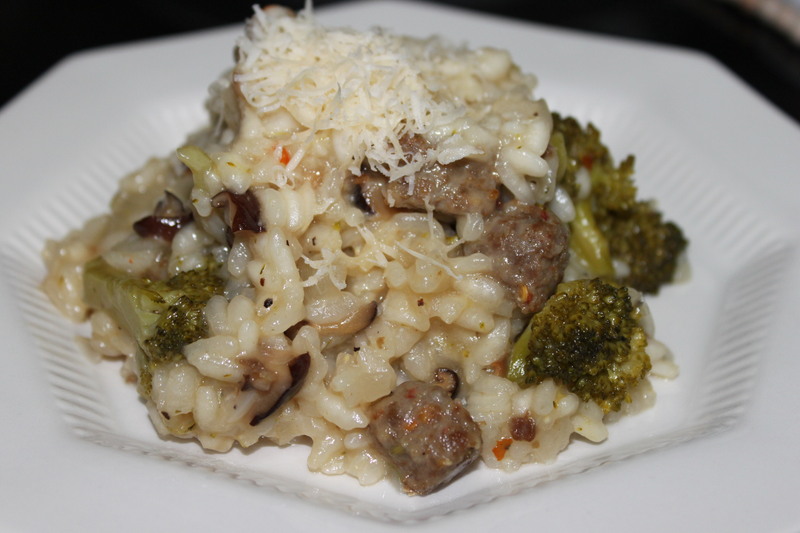 Risotto is a famous rice casserole (said it loosely) of Italian. This recipe calls for a quitely simple variety of ingredients that are easy to find in any supermarket. You can add anything that you like, but the arborio rice, which is a kind of short grain, is the main element that gives you the exactly right flavor of this dish. – Add all the rice into the mixture. Slowly add 1/2 cup of hot chicken broth and stir the rice mixture. Each time you will need the rice absorb all the broth before adding another 1/2 cup broth next. The arborio rice is quickly cooked in about 20 minutes. – Add parmesan cheese and pepper. You should add more salt if needed after adding parmesan cheese because this cheese would bring your rice salty fast. Ăn nóng cùng Parmesan cheese (nếu bạn là tín đồ của phô mai). Nhớ là luôn ăn Risotto cùng Parmesan chứ không phải bất cứ loại nào hết nha. This entry was posted in casserole, Italian. Bookmark the permalink.